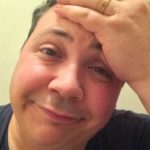 Jesus Christ – What’s in a name? 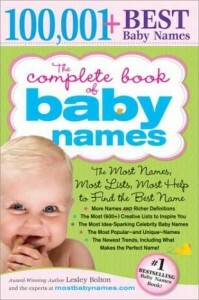 Nowadays, the meaning of names are not all that important. My name Simon, for example, means “he has heard”, which is ironic seeing as I am terrible at remembering things if I only hear them. When it comes to organising our lives, my gracious wife knows my motto is, “if it’s not written on the calendar, it doesn’t exist”. Many religions also give names significance. 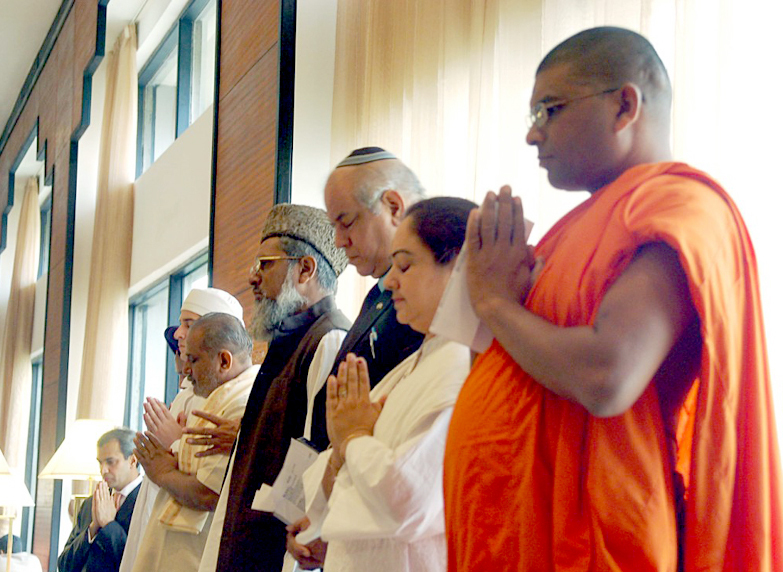 Buddha means “The Enlightened One”, Muhammad means “To Be Praised”, and Abraham means “Father of Many”. This helps us understand some of the significance of these religious leaders (at least from the perspective of their religion). It also can help us understand what the religion is primarily on about. 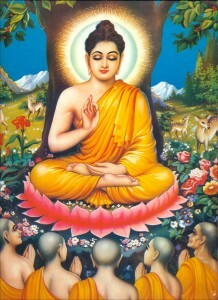 Buddhism, for example, was founded by the first Buddha. As Buddha means “The Enlightened One”, you can conclude that Buddhism is going to be about the path towards enlightenment. In fact, if you leave out some concept of enlightenment, then you’ve probably – by definition – gotten Buddhism wrong. Christianity, in the same way, is – by definition – about Christ. If you leave Christ out of Christianity, you may end up with something, but it won’t be Christianity. Jesus Christ is the central focus of Christianity and the meaning of those two words – “Jesus” and “Christ” – are very revealing in understanding what Christianity is all about. I would go so far as to say that the meaning of the words “Jesus Christ” gives us a basic understanding of the whole Christian message and how it calls us to respond. If you want to know who Jesus Christ is then you at least have to know what “Jesus Christ” means. So let’s go through it. The first thing to point out is that “Jesus Christ” is not his first and last name. His parents weren’t Mr and Mrs Christ. Surnames were not used in ancient Israel, although people were identified by their father (as in “James son of Zebedee” in Matthew 4:21) or by their home town (as in “Jesus of Nazareth” in Mark 1:24 or “Joseph of Arimathea” in John 19:38). However, the word “Christ” does not refer to either one of these. 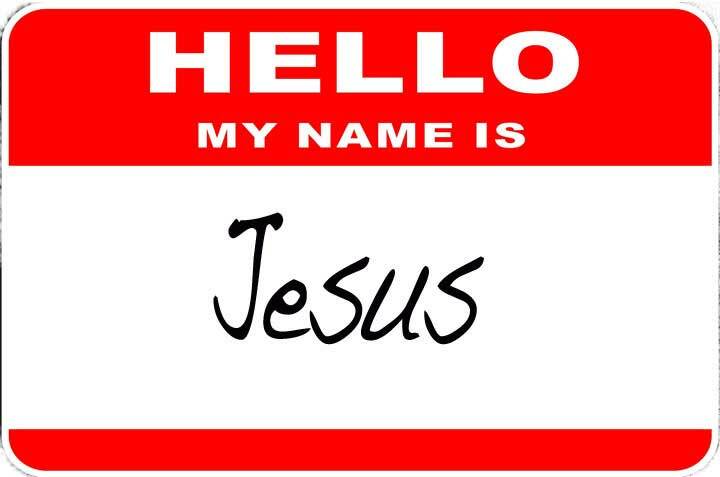 Whereas “Jesus” is his personal name, “Christ” refers to his title or status. 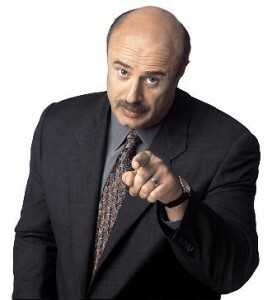 It’s a bit like how we talk about “Judge Judy” or “Doctor Phil”. “Christ” expresses his role. This is why he is often referred to as “Christ Jesus” rather than “Jesus Christ” and sometimes he’s just talked about as “The Christ” (see Matthew 2:4, Matthew 16:13-17 & Mark 14:61-62). The word “Christ” is a Greek word meaning “Anointed One”. In Hebrew, the same word is “Messiah”. It refers to the one who would was prophesied to be the anointed king of God’s people. Hundred of years before Jesus was born, God made a covenant with King David (in 2 Samuel 7:1-16) that one of his descendants would rule God’s kingdom forever. This figure is sometimes known as the “Son of David” and just as David was anointed to be king, so this king would come to be known as the “Anointed One” or “Messiah” or “Christ” (see Psalm 2:2 for example). Jesus is the fulfilment of the covenant God made with King David and he is the king that all the old testament prophesies were promising about. He is The Christ, the Ruler. You could accurately translate the name Jesus Christ to be “King Jesus”. 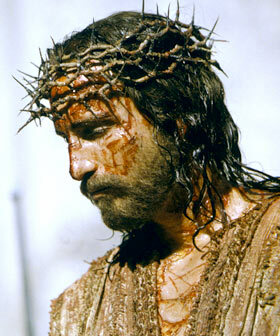 In the end, he was crucified with the charge against him written above the cross: “This is the King of the Jews” and the reason why they put a crown of thorns on him was to mock his claims of kingship. Also, after his resurrection, Jesus declared “All authority in heaven and on earth has been given to me.” (Matthew 28:18). That’s kingship language. Now, this image of Kingship is not very popular today. We think of kings often as tyrants or power-hungry bullies. The idea of obeying or giving respect and honour to those in authority, is a concept that grates against our sense of independence and we have seen too many human kings in the past abuse their power or grow arrogant or indifferent to the suffering of others. So, it’s understandable if we don’t like the idea of a King, anointed by God to rule over us and worthy of our respect and obedience. But that is what Jesus is. Fortunately, Jesus is kind and sacrificial and life-giving and so his rule is for our good and for the good of all the Universe. For me (as an actor), it’s like the idea of working under an amazing director that I know is brilliant and is a pleasure to work under. I would have no problem taking their direction and supporting their leadership, because I would know that they were better than me and they were worth following. Jesus is like that, but infinitely more so. His rule is perfect, not just in his skill, wisdom and power, but also in his moral goodness and love. He is a wonderful king to obey and we will all benefit from coming under his good rule. 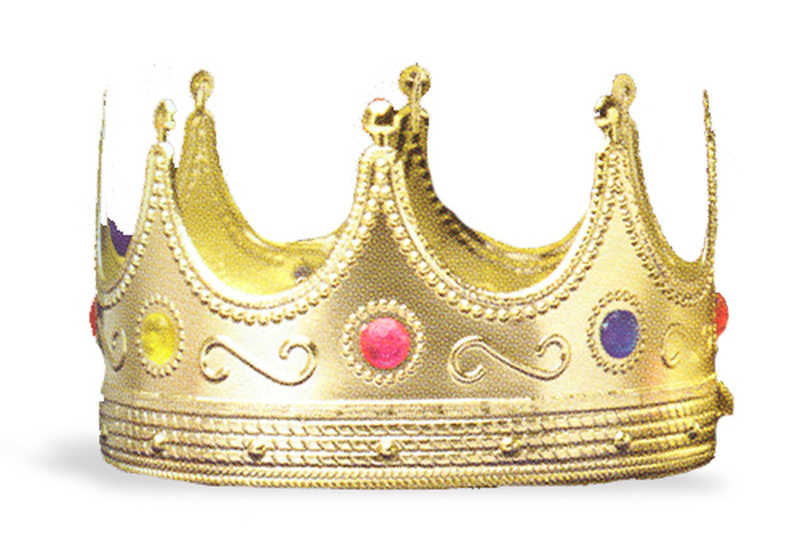 The reality is though, if Christ means “King”, then if you want to get Jesus Christ (and therefore Christianity) right, you need to have Jesus’ kingship as one of the central ideas. 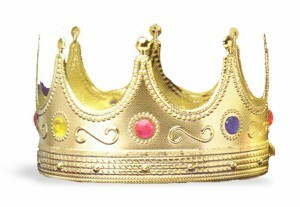 A Christianity that makes Jesus any less, or has trouble with the idea of Jesus being king, is no Christianity at all. Likewise, a Christianity that does not call people to give over the rule of their lives to Jesus, is a false Christianity. To become a Christian, you have to see one of the greatest sins as being the fact that we want to rule our own life and that we do not give God the honour or obedience he deserves. We need to turn away from our sin and turn our allegiance to Jesus, giving him the crown of our life. Now, it is very confronting to say that every single person on the planet should come under the rule of no one else than Jesus, but that is what it means for Jesus to be called “Christ”. It means that if you reject Jesus as king, you reject God himself, because Jesus is God’s anointed. Christianity is by definition therefore an “exclusive” religion. There is only one way to God and Jesus is it. I have heard people claiming to be Christians, proclaiming a version of Christianity that says that we all just have our own “faith tradition” and that as we all seek unity we are all coming closer to God. It doesn’t really matter how you respond to Jesus, what matters is your sincerity or your effort or your kindness towards your fellow man. Jesus wants to rescue us from the kingdom of darkness and bring us into the kingdom of light. 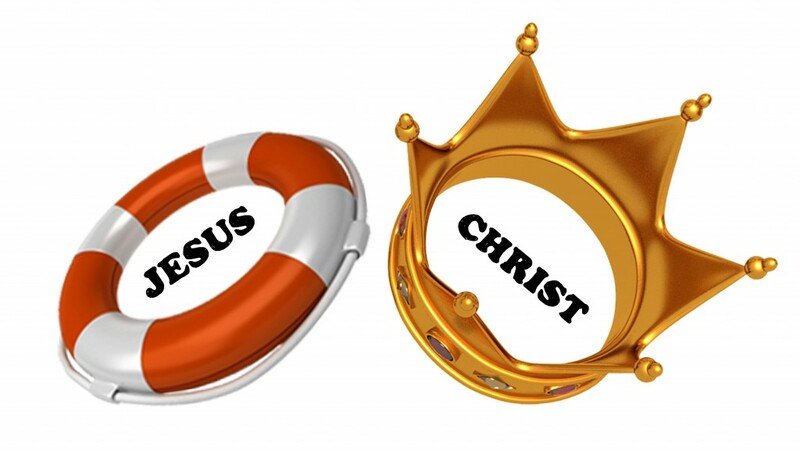 He is our good king, but he also our rescuer, which leads me to the meaning of the “Jesus” part of his title. We need rescuing. We need saving. We need to be freed from our slavery to selfishness and our tendency to ignore God’s rule. We also need to be freed from the judgement of God. 1. Judgement Day is not just the name of a Terminator movie. You can not escape the references through both the Old and New Testaments telling of one final day when all people who have ever lived having to stand before God and give an account for our lives. God promises that all evil will be judged and only the “righteous” will be spared. Unfortunately, another consistent message throughout scripture is the fact that no one can claim to be “righteous” or innocent before God based on their own life. That is why Judgement Day is a terrifying prospect. But nevertheless, the message of the prophets, or Jesus and of the New Testament writers is clear: “God has set a day when he will judge the world with justice by the man he has appointed.” (Acts 17:31). If this is true, then to avoid or ignore this coming reality is as foolish as to stand on a beach and ignore the warnings that a tsunami is on its way. Judgment Day is real. It cannot be taken out of Christianity, and any attempt to do so, leaves some major gaping holes in the bible. 2. Jesus had a Hell of a Message. If you read Jesus’ words and want to heed them, you can not ignore the fact that he talks about Hell. In fact, no Old Testament prophet or New Testament preacher, is recorded as talking about Hell as much as Jesus. To simply edit those bits out and accept only parts of Jesus’ teaching is to really misrepresent him unfairly. If Jesus truly is from Heaven (as he claimed) then he has the authority on the subject of heaven and hell and whether they exist. Now the exact nature of Hell is debatable in terms of whether it is consciously eternal or not, but Jesus’ warnings are unavoidable. Hell, Jesus says, is real, and it is the destiny of all who do not accept his offer of escape. 3. No Bad News = No Good News. Sometimes people think that the Old Testament gives us a picture of an angry judging God, while the New Testament is all about love and peace. This is true to some extent in that the judgements of God are quite vivid in the Old Testament (10 plagues on Egypt for example), and in the New Testament we are introduced to the greatest expression of God’s love and the wonderful gospel message that offers peace to all the guilty. But it is a grave misunderstanding to say that the judgment of God is swept under the carpet and replaced with a nicer, loving message. The offer of peace only makes sense to a people who are at war with God. The offer of forgiveness and mercy only makes sense to a people who are guilty and under judgement. You can not show mercy to the innocent. The innocent deserve to be acquitted. It is the guilty who need mercy. The “gospel” is the message of Christianity. It literally means “Good News”. It is only in the context of the bad news of the fact that we are under God’s just judgement, that we can receive with joy and gratitude the good news of God’s solution. Now this all seems pretty bleak, but think of it as a diagnosis. When the doctor tells you he has done all the tests and you have cancer, you may be blown away by the bleakness of that news, but very quickly we look to what the doctor is offering as a treatment and if there is any hope. 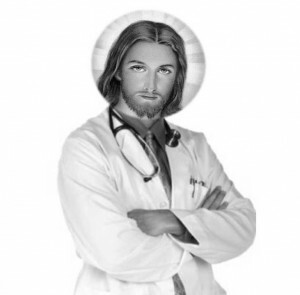 The message of the Bible and the message of Jesus is that our diagnosis is bleak. We have a cancer of the soul. Our sin means that we stand before a holy and perfect God with no way of claiming innocence and no means of “paying God back”. Any good deed we have done is simply a good deed that we should have done in the first place and so does not pay for the thoughts, words and deeds that lead us to be standing before God condemned. And although I use that language as a metaphor, it will also one day be a reality when, as Hebrews 9:27 says, “man is destined to die once and then face judgement”. I don’t write this to make you feel bad or to scare you. In fact, hopefully hearing about the judgement of God brings some clarity to your experience. This is why you feel distant from God. This is why God seems obscured to you. This is why you may be able to work on your bad habits and behaviour but you can’t change your heart. This is why all you can do with your guilt and shame from the ways you have wronged people, is just to try to forget them or “move on”. 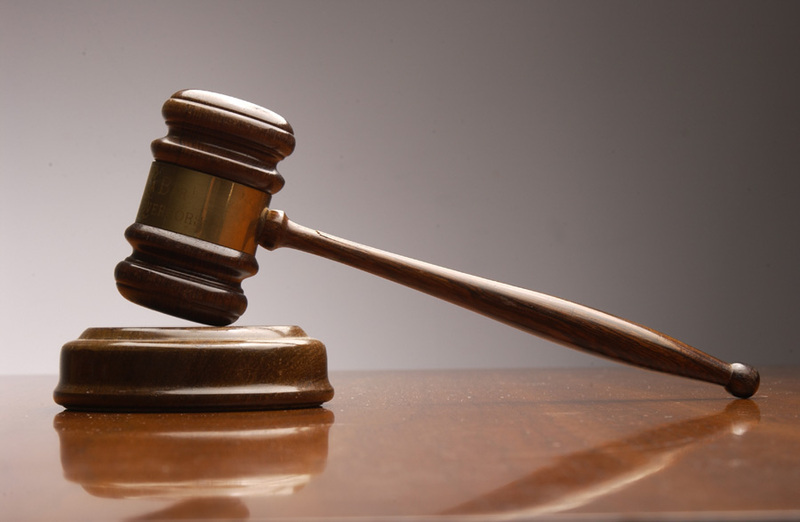 The judgement of God is good news. It tells us that God cares about how we treat people and how people treat us. It means God is not just a dithering old Santa Claus in the sky who gives you presents no matter what. It means God loves justice and goodness and mercy and truth and God will ensure that on the last day all the evil in the history of the world will be shown to be evil and done away with. The judgement of God means that “God is light and in him there is no darkness at all” (1 John 1:5) and in the New Creation that God will bring after the Judgement Day, there will be no more pain or sorrow caused by sin and evil. No evil dictator will “get away” with their crimes, no injustice will be left undealt with and all acts of goodness will be finally vindicated. The judgement of God is a good thing. The problem is of course that if the judgement of God is real and truly just, then we are all screwed. We need some cure for our cancer. We need to be rescued from our bleak situation. We need a Saviour. This is why Jesus came… and this is what “Jesus” means. After Joseph got the news that his fiance, Mary was going to give birth and that the pregnancy had been caused by God’s Spirit (rather than her sleeping around), he was told by the Angel of the Lord, “She will give birth to a son, and you are to give him the name Jesus because he will save his people from their sins.” The name Jesus means something. It’s not just something picked out of a baby book. It is a name that God instructed Joseph that he must have because it related to his mission, “he will save his people from their sins”. The word “Jesus” comes from “Yeshua” (commonly known today as Joshua). Yeshua is derived from two Hebrew words. The “Ye” points to God’s personal name “Yahweh” and the “Shua” points to the hebrew word for “salvation”. So Yeshua (or “Jesus”) literally means God is Salvation. This is why Jesus is called Jesus, because his mission was God’s salvation. And what do we need to be “saved” from? Well, so that we don’t start thinking that we need to be saved from ignorance or lack of motivation or global warming or political oppression, the angel makes it clear… We need to be saved from our sins. And it is Jesus who makes that salvation possible through living a perfect life that we did not live, dying a torturous death that we should have died, bearing the judgement of God that he did not deserve, and rising back to life in victory to offer us a way of salvation that we could not earn. God’s King has come, just as was prophesied, but he did not come to judge us all and clean up his creation. If he came to do that, he might have been called Yehoshafat, meaning “God Judges”. But no, he came to give us a way out. He came on a rescue mission. He came to provide the cure. He came to save us. And so he was named, Jesus. Jesus Christ means Saviour King. “Jesus” speaks of his mission. “Christ” speaks of his role. If you like pictures, think of it as two rings. One ring is a life preserver, the other ring is a crown. Jesus Christ is both. If you are exploring Christianity, make sure you at least understand the basics. Don’t fall for counterfeits, even if they offer a more palatable Christianity. If you accept or reject Christianity, at least accept or reject the real deal. So, if you want to get your head around what real Christianity is, I think you don’t really need to look much further than the name “Jesus Christ”. It tells us who Jesus is and what he was on about. It tells us why he came and what he offers. Or maybe you’re someone who has, possibly for many years, called yourself a Christian, but you now realise that you haven’t really been one all along. Well, the name “Jesus Christ” also tells us us how we are to respond to him. Not simply as a wise teacher, or a good example to follow. We must respond to who he really is. Our rightful king and our only hope for salvation. that this man stands before you healed. He is the stone you builders rejected, which has become the capstone.